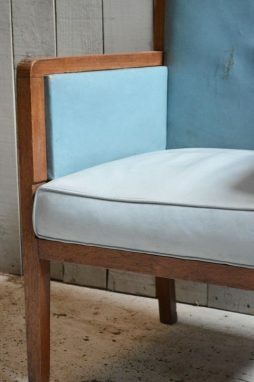 19th Century Antique Furniture | Page 123 | Interior Boutiques – Antiques for sale and mid century modern furniture, french furniture, antique lighting, retro furniture and danish furniture. 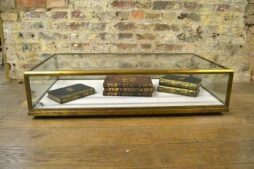 Interior Boutiques offers one of the largest and most comprehensive collections of fine 19th century antique furniture for sale, a range of mid 20th century furniture and a collection of bespoke furniture from around the world. 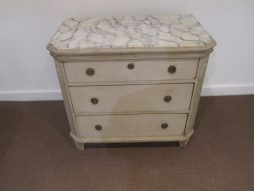 We also sell other items from many other periods and aim to be able to satisfy your antique furniture needs. Our collection of antique sellers offer fine examples of antique mahogany furniture, antique rosewood furniture, antique satinwood furniture and more, including dining tables and dining chairs, library tables, console, card tables and tea tables, pedestal and partners desks, bookcases, mirrors, chests of drawers, tallboys chest-on-chests and linen presses, bureaux, canterburys, wing, arm and bergere chairs and sideboards and serving tables. 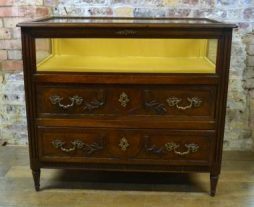 For all your 19th century antique furniture, Interior Boutiques has it all to offer. 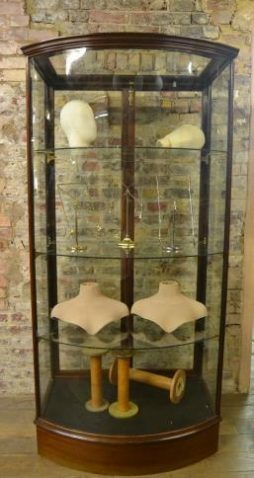 We have this beautiful 1930s antique jewelry cabinet, which is in excellent original condition. It has sliding doors and is very wide and flat, making it ideal for large jewelry cabinets. This beautiful fully restored tall bow front Victorian cabinet is available now! 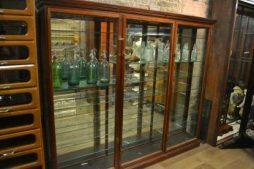 One of our personal favourites for our shop, this Victorian cabinet has bow front glass and is an ideal display piece for a luxury shop or department store. 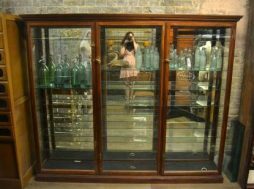 It has three adjustable glass shelves, so can display a large number of items. 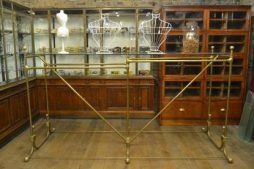 We have a range of tall and small Victorian shopfittings, so do check out our shop! 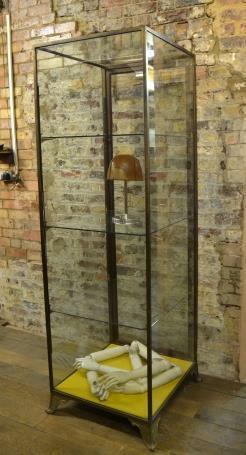 This is a gorgeous large mahogany display cabinet, ideal for larger stores or displays. Originally from a high end jeweller's, this luxurious large shopfitting is from the 1920s and is in beautiful original condition. It has three doors and five levels of glass shelving, so can store a large number of items. 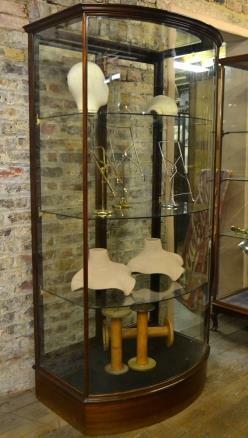 This is an absolutely gorgeous French antique jewellers display cabinet with original gilt bronze decoration. 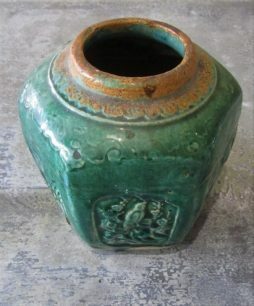 It is made of walnut, and is in lovely original condition. It has two drawers and a flip up display section at the top. As it was originally in a jewellery store, it is very intricate so is ideal for the buyer who loves feminine French style. The original locks are still working. 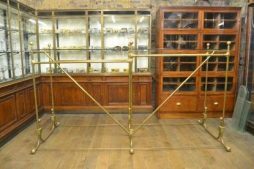 We have this unbelievable large hanging rail – originally from an upmarket men's outfitters, this rail can hold a vast range of items and additionally has a glass shelf over the top for additional display or storage of products/items. It has been cleaned and restored. This gorgeous rail is from the 1930s and we think it is one of the most functional, glamorous items we have had in. 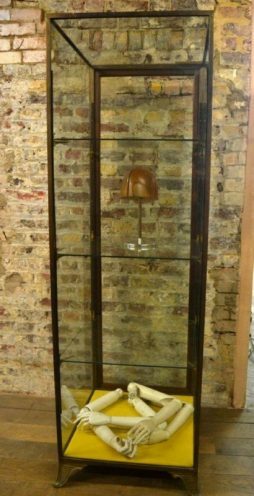 This gorgeous bronze tower unit is currently available from Binder's! 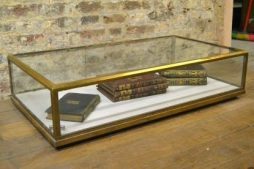 This unit is a 1920s antique, is in excellent original condition and is ideal for a department store or display in a large surrounding space. 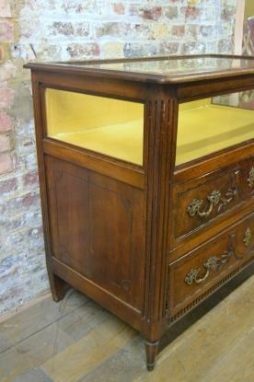 It has lovely polished oak flooring, decorative bronze feet and three shelves with plenty of display space. Condition Report : Very good condition and comfortable. 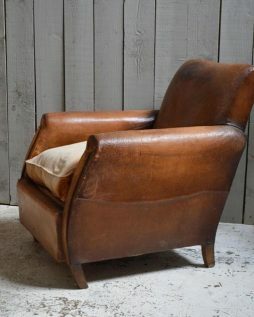 Very unusual art deco shaped Leather club chair. Condition Report : In very good condition and very comfortable. 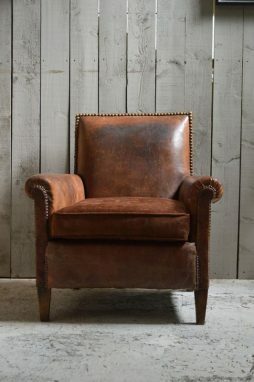 Very comfortable Leather club chair. 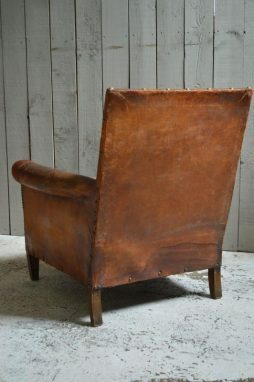 Condition Report : Very good but slight colour difference in the leather of the seat and back. 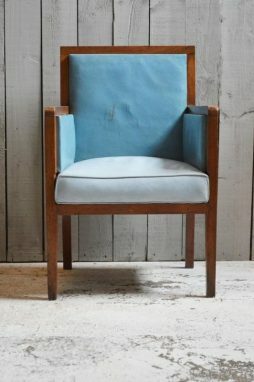 Art deco leather seat with powder blue leather. 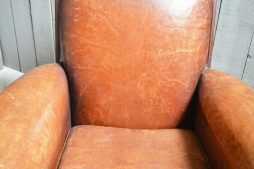 The back leather is original and the seat Leather may have been replaced at a later date. 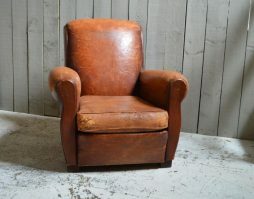 Condition Report : Very good condition for age and very comfortable. 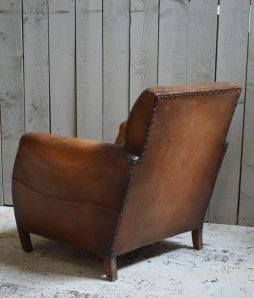 Gorgeous leather Club chair with studded detail and flat back. 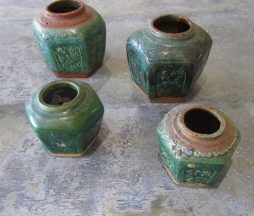 A collection of seven Chinese Shiwan dripped jade colour glaze ginger jars (no lids) late 19th Century and early 20th Century max size 14cm x 14cm minimum size 10cm x 10cm. 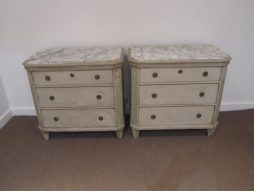 A pair of late 19th Century Swedish painted pine commodes in the Gustave manner in light grey paint with faux marble tops and bronze furniture on square tapered legs with canted corners.